Russia has posted pictures of a new ground effect vehicle, or ekranoplan. The new design is more modest than the "Caspian Sea Monster" that so alarmed Western intelligence during the Cold War, and can only be seen taxiing. 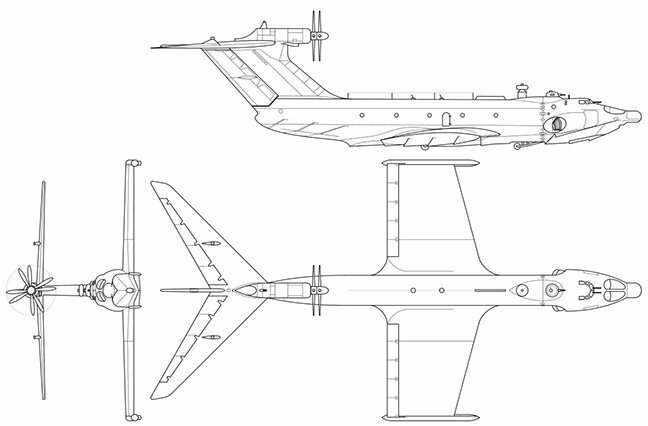 Ground effect vehicles were pioneered by Russian engineers, and take advantage of the increased lift generated by flying close to a fixed flat surface; ekranoplans were designed to operate optimally 3-6m above sea level. This ruled out use over many terrains, but with vast areas of the Black Sea and Caspian Sea to cover, the Soviet Union had a good reason to invest. It consequently developed enormous ground effect vehicles. The late Lester Haines told the ekranoplan story here. The giant vehicles puzzled and alarmed Western intelligence experts, who spotted the distinctive designs from reconnaissance photos and concluded that the craft, although moving at the speed of a conventional aircraft, couldn't actually "fly". Had the Soviets developed some new breakthrough in propulsion? Actually, the craft could "fly", just not very high. A LUN-class ekranoplan developed in the 1970s bristled with weapons, making it a formidable vehicle for a surprise coastal attack. Only two were ever operational. A smaller design, the A-90 ("Orlyonok"), developed by the Central Hydrofoil Design Bureau, was also designed for attack and adapted to be amphibious. Since the end of the Cold War, smaller ground effect craft have been developed privately. Boeing proposed an ambitious design in 2002 with a 500-ft wingspan, the Pelican ULTRA (Ultra Large Transport Aircraft), but the project never developed beyond concept. Ground effect vehicles, if these are produced, suit the North perfectly. They can fly over the tundra, over the sea surface and over ice. A ground effect vehicle may fly for a thousand kilometres over tundra – there are no trees and no structures. It's a more conventional design than the A-050 that China was reportedly buying from Russia two years ago. That model is by the Alekseyev Central Hydrofoil Design Bureau based in Nizhny Novgorod, which kept the flame burning after the end of the Cold War. However, the Russian flight institute is said to be studying the feasibility of much larger ekranoplan designs for carrying freight in standard containers, or ULDs.